Upali was born after a gestation of 662 days, on November 14, 1994 at 3.15 a.m. After Komali and Panang, Upali was Ceyla’s 3rd birth. 2 Weeks later, Upali withdrew, became more and more autistic and sucked his trunk. The sucking became so strong that he got an abscess at his trunk. Upali lost more and more weight and just dozed. He had not even enough strength to lay down for sleeping. Why did Upali not want to drink any mother’s milk? It was conspicuous how he greedily began to drink water himself, when his mother was watered. But he less and less tried to drink mother’s milk from Ceyla. Ceyla had the peculiarity to disturb her babies when they were suckling. Every time Upali wanted to drink, she tormented him by her elbows. Instead of closing his eyes like his older sisters Komali and Panang and to go on drinking, he gave up and stopped suckling at Ceyla’s breasts. Certainly his two younger brothers Xian and Aishu did also suffer from this harassment, but they could somehow get their way with Ceyla and got enough mother’s milk to drink. The picture shows the little skinny Upali between his big sister Komali and his aunt Druk. On the left side you see his mother Ceyla. How could Upali be saved? Directed by Ruedi Tanner, we decided on December 24, 1994 to nurse Upali by a milk bottle. 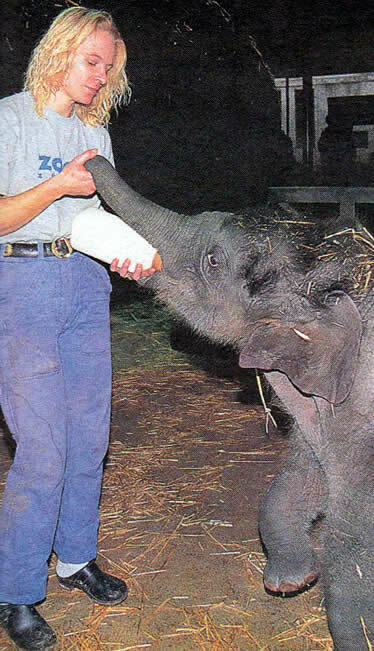 Ruedi Tanner did already rear Upali’s mother Ceyla by a milk bottle. But the mixtures of tea, rice slime and cream did not seem to be successful with Upali. Often the effect was strong diarrhoea. We tried various milk mixtures. Which milk was the right milk then? Only the idea to try it with calf feeding milk was really successful. After Upali had got used to this milk, he began to drink joyfully and his weight grew slowly but steadily. We had a beaker of 2 litres, which Upali emptied within no time. During daytime Upali drank one beaker every two hours. It was our first and our last work in the morning and in the evening, to fill Upali thoroughly, because he didn’t get milk from us in the night. So Upali drank about 15 litres of milk per day. Did Upali stay with his mother? However Upali stayed the whole time with his mother and with the elephant group. 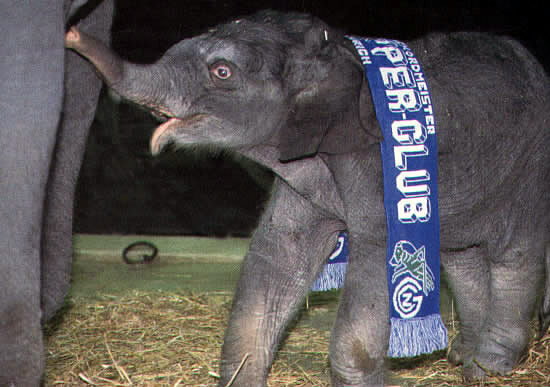 Because he should remain a normal elephant calf and he should not be imprinted by us keepers. This was very important for his good social development because we wanted him to grow into the elephant hierarchy without problems and to develop into a social bull later on. 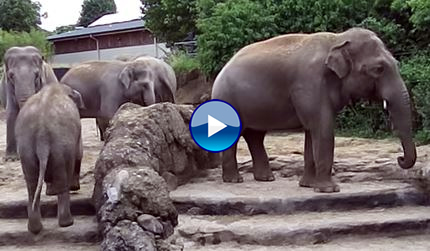 Why did Upali have to leave the zoo? 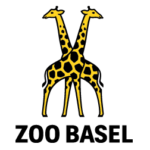 Between the Zurich zoo and the former owner of the bull Maxie, Roger Cowly, there was an agreement that the first bull calf should belong to Roger Cowly. To our regret Roger Cowly did not forget this agreement. Upali had hardly become one year, when he came up and insisted on fulfilment of the contract. As long as we could we tried to delay it by various arguments. Was Upali well-received in England? Then, on May 14, 1997, at the age of two and a half years, the time had come. 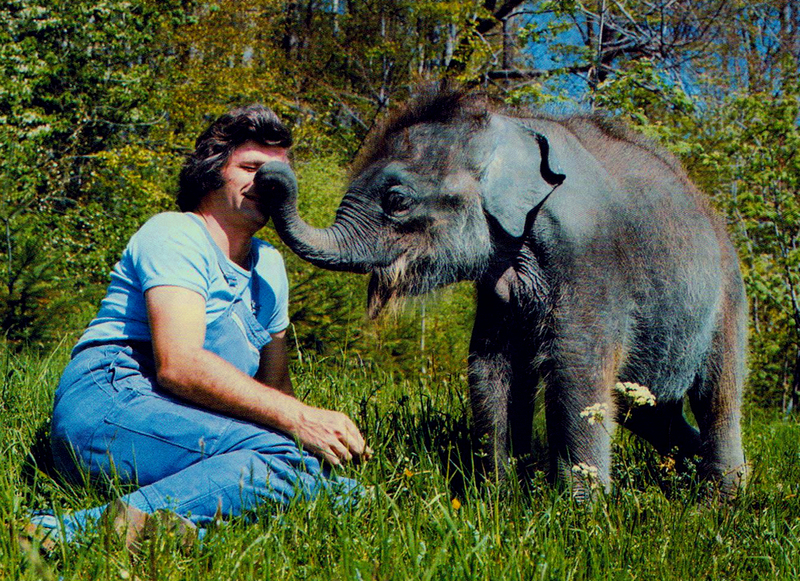 The journey to England began for Upali – because Roger Cowly sold Upali to the Chester zoo. Afterwards this turned out to be a piece of luck, because it is not easy to find a place in a good zoo for an elephant bull. The elephant keepers, the zoo and the people in Chester were very pleased to get the little elephant from Zurich. Has Upali got used to living in Chester? 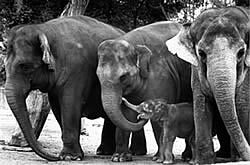 On the 12 November 2006 is born the elephant baby Sundura as the first calf for mum Sithami and dad Upali at the Chester zoo. On 18.7. 2010 Nayan is born, the second calf for Sithami, 13, who is also mum to Sundara, six. Proud dad is Upali again. On Saturday 22nd January 2011: Jamilah is daughter to proud mother Thi and father Upali. 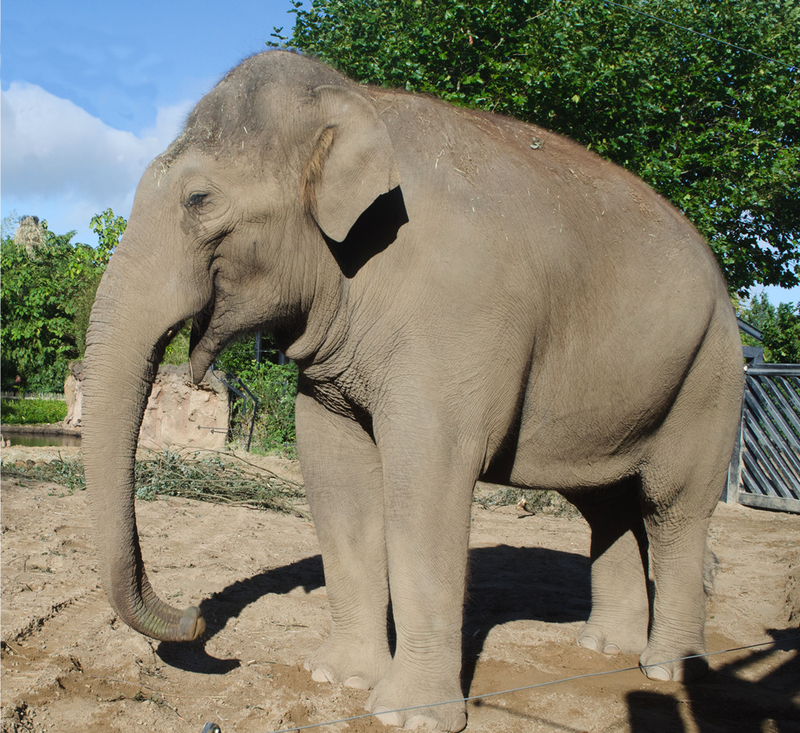 On Monday 9th July, Dublin Zoo welcomed one of the most highly anticipated arrivals in many years – Upali an Asian bull elephant. 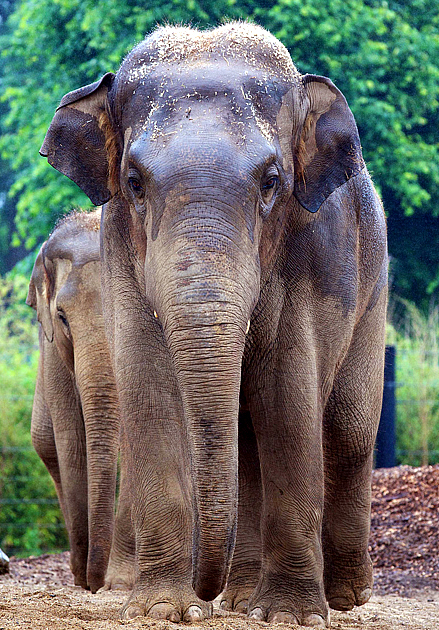 Upali arrived from Chester Zoo at midnight on Thursday July 5th. Meanwhile Upali is 3 meters high and weighs about 6,000 kg. And is now father of a total of 10 young elephants. Unfortunately, 5 of his children at the Chester Zoo probably died on a herpes infection. 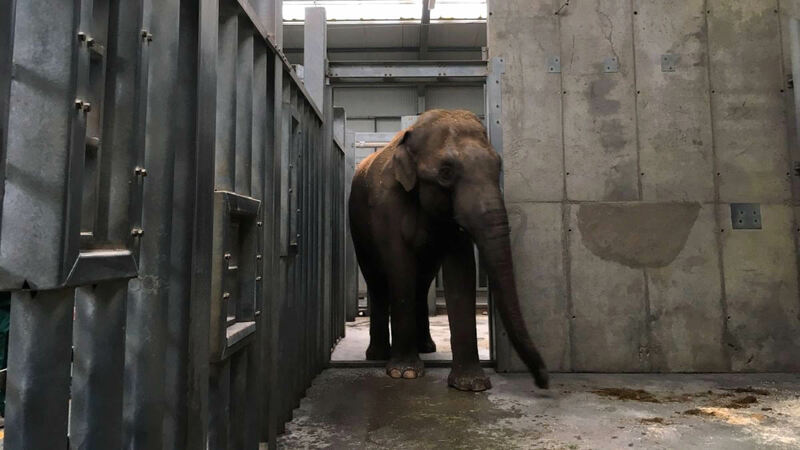 On 27 February 2019 Upali was transferred to the zoo of le Pal in France.